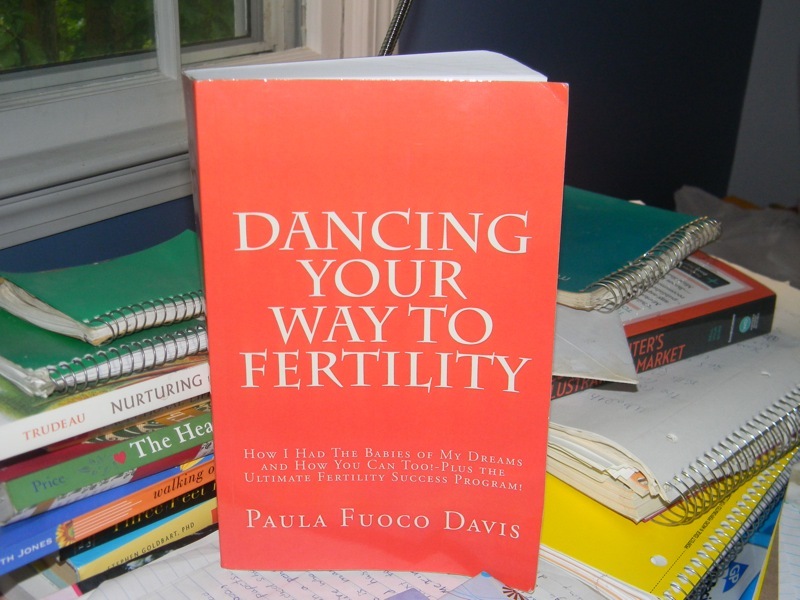 Dancing Your Way To Fertility – Page 2 – Had enough of hearing ‘no you are not pregnant?’ The information you need to beat infertility…a hand to hold on your hardest of days. If I thought a lot of blood tests and ultrasounds were needed when I was on Clomid, an IUI demands more than I imagined. Although as time passes, I am slowly getting more and more okay with the new demands. I am feeling able to cope with whatever the clinic asks of me. I have finally got the reality in my head that if I want a baby, I have to do whatever it takes to heal and get pregnant. We get to the clinic and Chris goes into a room alone to give his sperm sample while I read magazines in the waiting room. I thinking how separate my husband and I are at this time, when normally we would be together. About a half hour later, I am escorted into a room for the IUI. I know that normally husbands are present during this procedure, but I asked that Chris not to be there during this time. Sometimes during this process, I get angry at Chris for no reason at all, because it is easy to want to blame someone and put my anger on a target, and most often, my husband is my favorite target. Sometimes, I find I all too easily to pin my stress, fear and anger on him—it is your fault, his fault, not my fault, and so during this procedure, I want to be clear of these negative emotions. With strangers, I will not get so emotional, won’t give in to the anger so easily, will force myself to stay a bit more positive. I am so nervous. A technician named Carol is there with a nurse named Melissa. They insert a speculum and screw it in tight. I am not accustomed to this. It hurts and makes me feel trapped. Carol sees my fear and asks if I want to hold her hand. I do and it does help. Carol talks to me. She asks me questions to distract me and somehow I get through it. The nurse removes the speculum, and tries a smaller speculum so it won’t hurt me so badly. I so appreciate her gentle and extra effort. Knowing that now my cycles will be timed by the clinic and I will be doing IUI’s exactly when my body is ready and fertile is a huge relief. Pregnancy shouldn’t be too far behind. Chris and I enter Dr. P’s office prepared for battle. I have typed out all my reasons for wanting an IUI. I speak very slowly and seriously, anticipating denial and objection. It takes oh, about three minutes, for Dr. P. to say yes, of course, moving on to IUI’s is fine. He shakes our hands, thanks us, instructs me to call on Day One of my next cycle, and in five minutes, we are done. We both leave feeling relieved. We actually laugh a bit, feeling slightly silly that we expected such objection from him. Obviously, asking for an IUI is no big deal. He instructs me to continue to take Clomid and call on day one of my next cycle.